Get ready to call Uno! The world famous card game is faithfully reproduced and also features exciting new rules. 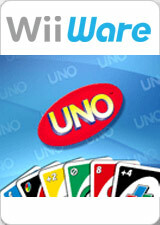 With a multiplayer mode played on one Wii console or through Nintendo Wi-Fi Connection, Uno has never been so fun and easy, so be the first to get rid of all your cards! Mii faces will be missing if EFB Copies to Texture Only is enabled. Refer issue 2112. 4 black squares appear when creating or loading a save file. The squares disappear when starting an UNO game or enabling V-Sync. Corrected prior to 5.0-6004. The audio will break up when playing a game of UNO. The graph below charts the compatibility with UNO since Dolphin's 2.0 release, listing revisions only where a compatibility change occurred.